I am interested in the velocity of throwing; the residual energy and shape within spinning clay. It is the water content of clay which is active during throwing, so that one controls a vortex of liquid and watery forms arise like ripples in a stream. My work consists of fluid sketches in clay with surfaces that ripple and undulate, thrown with both great physical vigour and sensitivity of touch. My aim is to achieve a harmony of balance and proportion that allows the forms to stand alone, visually centred. I compose on the wheel, throw and alter and construct forms out of thrown slabs. A thrown slab has so much more life and spring to it than one that has been rolled out like pastry. I cut open thrown forms initiating unfurling aspects. The vortexes are transformed into spirals and waveforms. Negative space enters, creating endless profiles and spatial relationships. Constructed forms play with ideas of continuous surface. The point of balance becomes more arbitrary. Monochrome glazes with a satin sheen reflect a range of tones as light pours over planes and edges. I believe that craft is all about the senses and the transference of deep energy from one person to another; the connection that reaffirms our place as beings in a world of physical laws and raw materials. It can be conceptual but it needs to be touched. Handling a pot is like shaking hands with the maker and everyone else who has held it. There is a compelling alchemy in the forming, glazing and firing of ceramics and the more you learn the more there is still to know. I graduated from West Surrey College of Art with a BA in Fine Art but have been working exclusively in ceramics since. My journey has been from traditional craft pottery to making unique sculptural thrown and altered pieces. What started as a passion has become an evolving investigation into touch as an extension of body. I hope that this latent energy will be perceptible in the finished, fired piece whether it is as visual movement or the feel of a small vibration at the heart of a hand held piece. 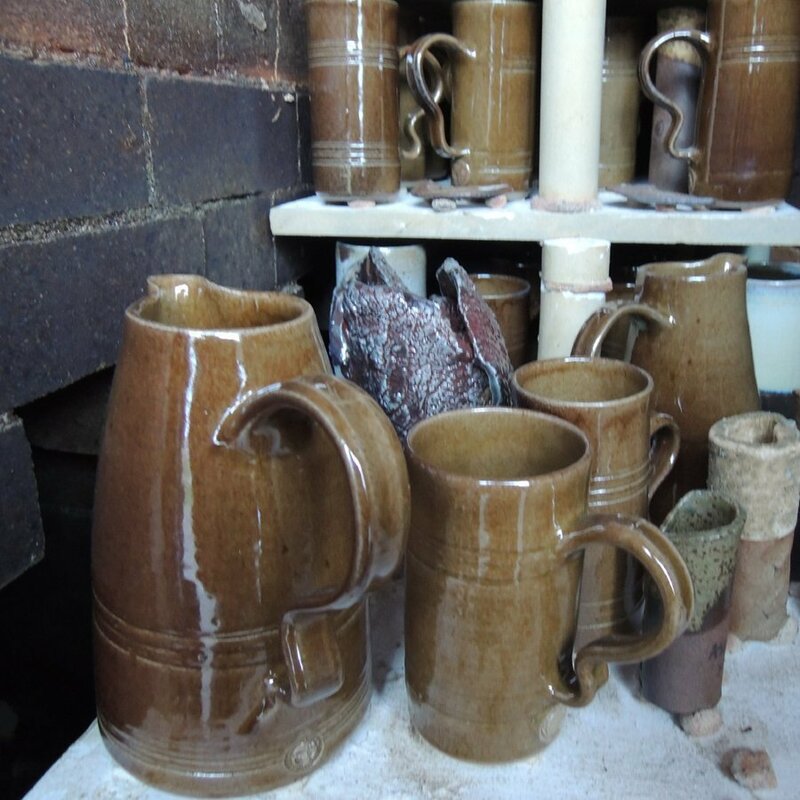 I use stoneware and porcelain and fire my work in either electric or wood kilns. Surface references are also made to particular places or points in time by brushwork and painterly use of combined glazes. 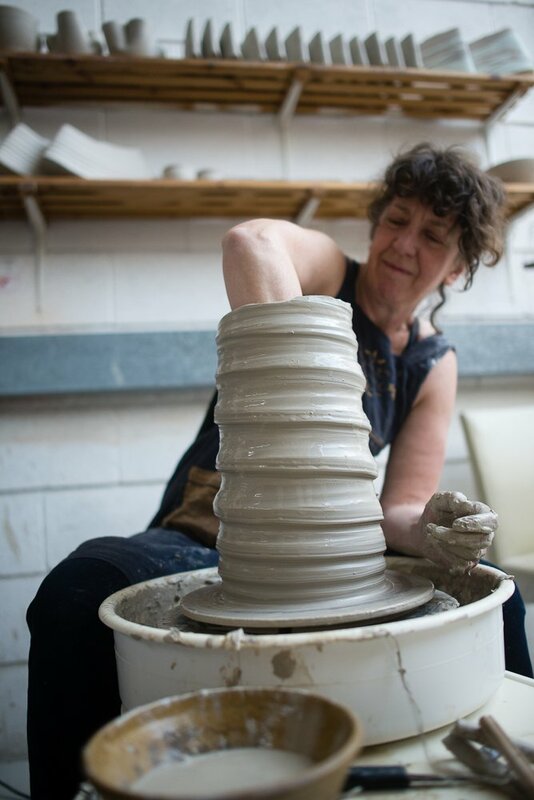 I have a spacious, fully equipped ceramics studio at Yorkshire Artspace/Persistence Works in the centre of Sheffield, close to train and bus terminals. The studio is set up for groups and classes to use. In between times I spread out with my own work. This cycle of use demands efficient use of storage space and frequent firings in the 12 cu ft electric kiln. I enjoy the buzz of being in an environment with other creative people working in many different media. Every year, in the third weekend of November, we hold an Open Studio event when the public are welcome in to explore the studios, to see all the many different art forms and meet the artists. 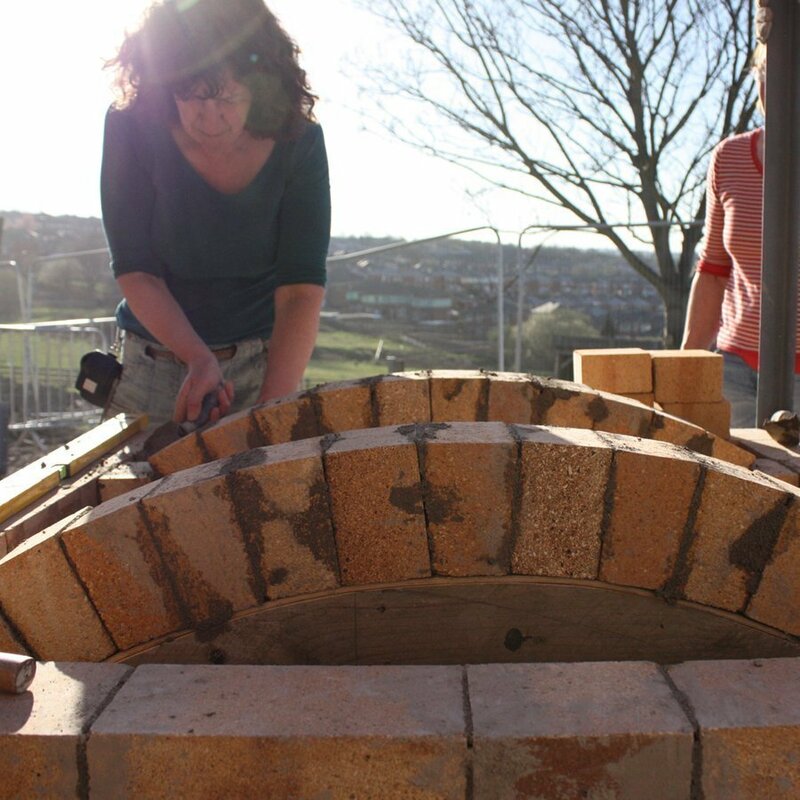 The smokeless, urban wood kiln was built at Manor Lodge in 2012 in a project led by Penny Withers and Sarah Villeneau, in partnership with Yorkshire Artspace and Green Estate and with funding from the Arts Counciland Artists Newsletter. It is the first environmentally friendly kiln of its kind in Britain, designed by Matsuku Kusakabi. It is used regularly by local potters. The last throwing weekend is March 29 – 30th. Watch this space for future intensive courses. New clients please check availability before booking weekly classes.